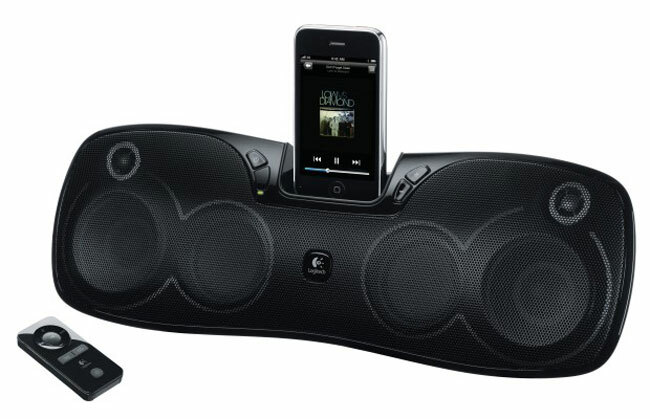 Logitech has added another accessory for the iPhone an iPod, the Logitech S715i rechargeable speaker. The Logitech S715i is designed to work with all versions of Apple’s iPhone as well as all versions of the iPod. It features a built in battery that will give you up to eight hours of music playback, and it also comes with a 3.5mm audio jack so you can hook up any MP3 player to it. The compact, portable design and included travel case make it easy to bring your music with you—whether you’re moving from room to room or heading to a friend’s house. The Logitech S715i rechargeable speaker is available to pre-order for £149 about $237 from Logitech.